Many companies whether national or international are looking for a digital marketing team. Because of this reason, the need of digital marketing courses and training is on the rise. For individuals who don’t have time to go to an institution, learning through online courses is the best option. 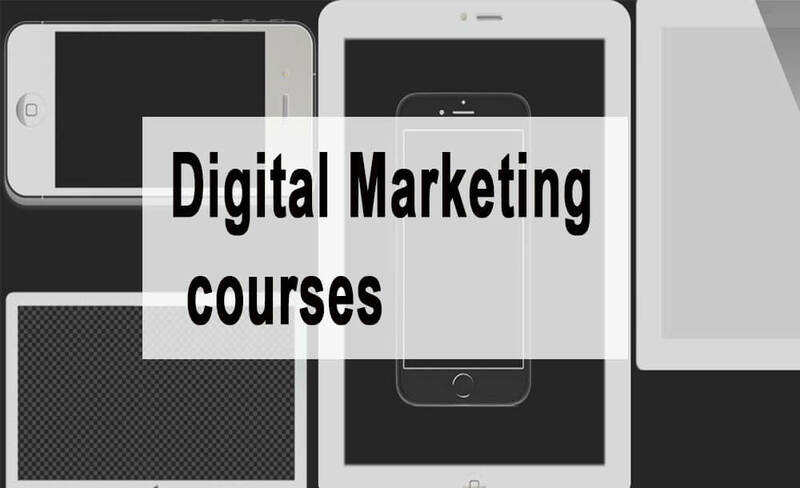 Here are the Top 7 Digital Marketing Courses that can help you in your professional field. This course has more than 29,000 students, with its numbers growing every day. Furthermore, this course helps you to learn how to market your business from the beginning in easy steps. The course is designed in a way that you will be involved in different learning processes such as projects, lectures, and quizzes. Instructed by Rob Percival and Daragh Walsh, after the completion of this course, you’ll be equipped with everything you need to build a marketing website that’ll be able to attract thousands of visitors. You will also be equipped with valuable skills related to 12 online marketing topics. Finally, you will be getting a certificate, as well. With more than 7,000 students, this course will help you learn through studying different case studies. By enrolling in this marketing course, you will learn about increasing SEO page ranks, writing better headlines for click-through rates, and strategies of becoming a best seller. It’s taught by Alex Genadinik. This is a very informative course in which you will be taught how to create new courses as well as how to get the attention of students to join the said course. It’s instructed by Cha~zay Sandhriel, Ph.D. Students have found this course easy to follow and valuable. This course will provide you opportunities to widen your understanding about digital channels, their working and how your business can capitalize on it. Not only this, but you’ll also learn about running paid search engine results, effective SEO campaigns, and much more. It’s another useful course created by the Digital Hack Academy to provide you with everything necessary to grow as a marketing professional. This course is very comprehensive and straightforward when it comes to how you can use online marketing strategies to promote and plan for your digital courses. It’s taught by John Colley and has more than 2,000 students enrolled. This course covers different ways that you can use to produce more SEO leads for a digital marketing business. Also, you will also learn various ways to using Facebook and LinkedIn for gaining leads. It’s taught by John Shea and has close to 3,000 enrolled students. 7 Digital Marketing Done Right! This course is one of the most engaging courses specially designed for those who want to learn and gain knowledge about how to be successful in digital marketing. It has more than 1,000 enrolled students and is instructed by KC Tan. So, if you’re interested in learning about digital marketing, make sure to check out these top 7 digital marketing courses.